.Teach math the fun way with best-selling Horizons 1st Grade Math Student Book 2. This bright, full-color workbook contains lessons 81-160 with 8 review tests. Lessons include time and calendar concepts, addition and subtraction of double-digit numbers, geometric shapes, measurement, and more! Pages perforated for easy removal. From Alpha Omega. 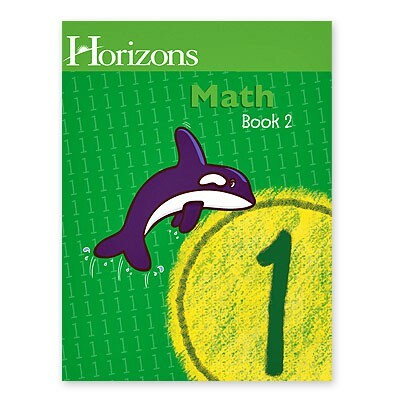 Teach math the fun way with best-selling Horizons 1st Grade Math Student Book 2. This bright, full-color workbook contains lessons 81-160 with 8 review tests. Lessons include time and calendar concepts, addition and subtraction of double-digit numbers, geometric shapes, measurement, and more! Pages perforated for easy removal. From Alpha Omega.